So You Think You Have a Pension Claim. What Information Does Your Pension Lawyer Need From You? By Pension Lawyer Eva Cantarella of Hertz Schram PC on Wednesday, July 19, 2017. I have been a pension lawyer for well over 20 years, and typically receive 5-10 calls a day from people who believe they have a pension claim and want my help. What information do I typically need in order to properly evaluate their claim? First, I need to hear their "story" so I can obtain a clear understanding of what they are complaining about, what they want, and what they have done thus far to try to get it. Frequently, as soon as I answer the phone and identify myself, the caller will start telling his/her story from somewhere in the middle rather than the beginning. I need to hear the story from the beginning. It's much easier that way for me evaluate the claim, ask relevant questions, and determine what, if any, solutions might exist for resolving the pension problem. Second, if the caller has already attempted to resolve the pension problem with the plan administrator (PA), I need to know what occurred at each step or stage of that process and to see all documents exchanged. This is very important because, if a pension claimant files suit before exhausting the plan's administrative claims procedures, the court will dismiss the claim unless it finds that exhaustion would be futile. For this same reason, if the caller has not tried to resolve the pension problem with the PA, he/she will need to make that effort (with or without my assistance) before I can pursue her claim in court. Third, a great many pension claims turn on the terms of the pension plan. Therefore, I need to see a copy of the full formal pension plan document-not just the summary plan description. If you have already separated from service with the sponsoring employer, I need to see the plan that was in effect at the time of your separation. If you have not yet separated from service with the sponsoring employer, I need to see the plan that is currently in effect. If you do not have the pertinent plan document, you will need to request it from the PA. You should make your request in writing and send it by certified mail so you will have proof that you made the request and of the date the PA received it. In general, the PA has 30 days from the date it receives your written request to produce the plan document. Some pension claims require additional documents and information in order for me to properly evaluate the claim and determine whether it is meritorious and winnable. For example, if your pension claim depends upon you proving certain facts, such as years of service, it helps if you have documents establishing those facts. If you do not have all of the documents and information I have outlined in this Post, does that mean I won't speak to you about your pension issue/problem until you have obtained all of that information? Of course not. 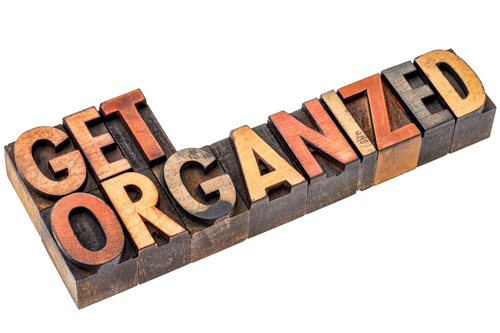 However, you and I will be able to accomplish much more during our telephone conference if you organize your thoughts and any pertinent documents you have beforehand.